The South-East Marine Protection Planning Forum/Roopu Manaaki ki te Toka has been granted a 10 month extension for their planning process so that members of the forum can continue engaging with their stakeholder groups. Forum chair Maree Baker-Galloway says that from the outset the forum has been committed to involving as many people as possible in the planning process and that the forum still has some way to go to fully achieve that objective. She says a further 10 months will enable wider consultation and greater information gathering before proposed areas of protection are refined and then notified for the formal submission process. 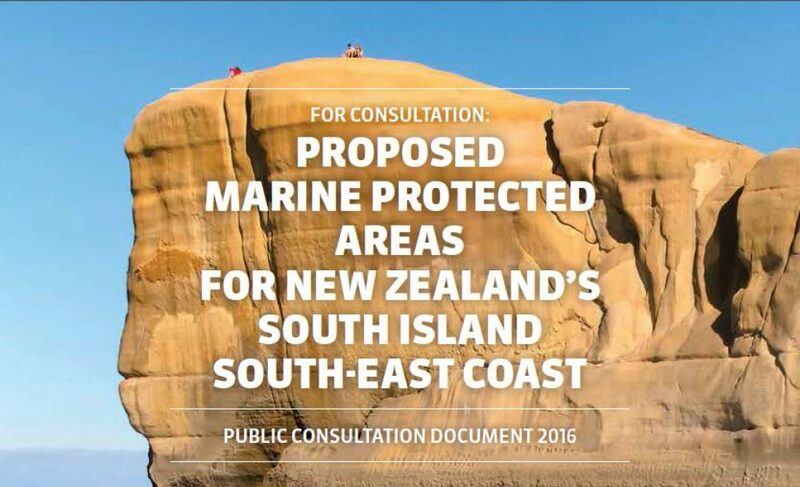 The formal submission process will begin sometime around the start of October when the draft recommendations for public consultation will be published. This will be followed by a series of public meetings throughout the region, over a fortnight, to promote understanding of the document. Public submissions will close 40 working days (2 months) after the draft recommendations are notified. Final recommendations are scheduled to be provided to government by 28 April 2017. Have your say and encourage others to do the same. This entry was posted in Uncategorized by otagomarine. Bookmark the permalink.